Calling all teens with albinism!! 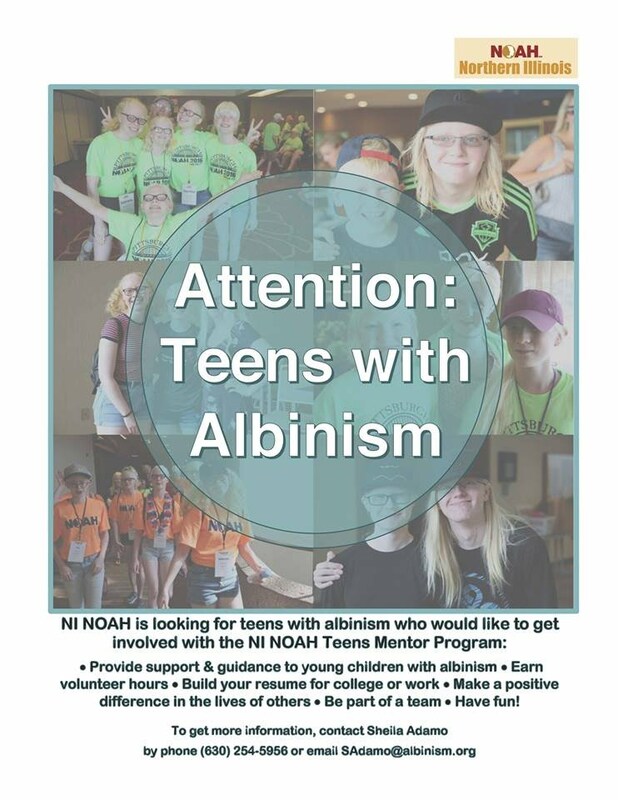 NI NOAH is looking for teens with albinism who would like to get involved with the NI NOAH Teens Mentor Program. For more information, contact Sheila Adamo by phone (630) 254-5956 or email SAdamo@albinism.org. Check out the photos from our last two Teen Events!